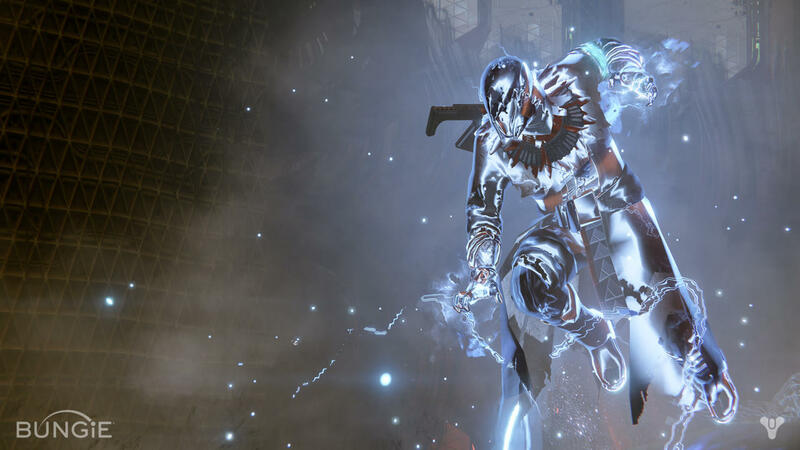 Posted on October 21, 2015	by Derek "Gamer Crash"
Almost a month ago to the day, I wrote how great Destiny: The Taken King was. In that post, I also mentioned that it was time to return to the game if you were like me and abandoned it at some point since it first launched last year. While I still feel that way, I’ve started to see some of the cracks in the old foundation start to appear again. 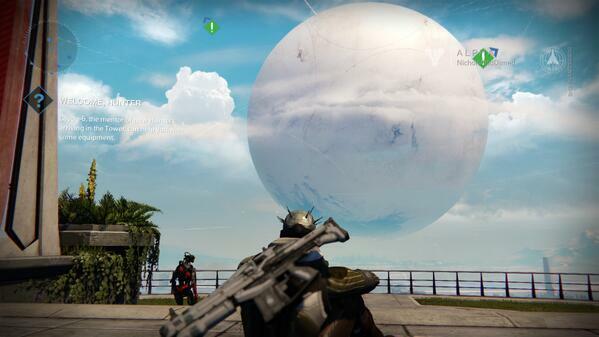 Make no mistake about it, no matter what anyone tells you, Destiny is a social game. It’s one where players are pushed into working together to overcome a goal or large problem. Sure, you can play solo and the new Taken King quest line can also be handled as such. The problem I’ve started to see is that at a certain point, the game shifts focus away from the lone wolf players, catering more to fireteams, groups, and social activity players. Lets have a closer look, shall we? After completing the core Taken King quest line, additional quests become available presenting additional challenges that the player can work to over come. Many are rather involved, tasking Guardians with planet hopping activities, eliminating different Taken VIP targets, or completing varying amount of strikes for example. Many of these missions start at level 40 and for solo players, automatically ratchet up the difficulty to hard. For a normal Destiny player, these stats can seem a little daunting. For players who don’t have any friends playing Destiny, or are stuck at a specific light level, or maybe play at odd hours, constantly getting killed and having to respawn time and time again is a major downer. Players who don’t feel like they’re making progress are more likely to become frustrated, lose interest, and ultimately leave. A problem which plagued vanilla year one Destiny. Take the weekly Nightfall event for example. Outside of Raids, the Nightfall Strike represents the most difficult mission in the game, similar to what Halo players would experience if they turned on many of the optional skull modifiers. Unlike the other strikes, this one doesn’t feature matchmaking. I don’t know if Bungie addressed why this was at some point in the past, but to me, this doesn’t make much sense. All other strikes are available for matchmaking, so by not enabling this one, they’re essentially cutting off a certain group of players from playing it. My point here is that Bungie needs to work on being more inclusive for solo players. The content within The Taken King is vastly improved yes, but at a certain point, the game seemingly leaves those players behind. Doing Patrols or running the same strikes over and over isn’t a great way to retain those players. There should be a better balance regardless if your a Fireteam mainstay or someone who just wants to run a quest solo here or there. While I still recommend The Taken King, I would advise solo focused players that your mileage may vary as compared to someone who has a number of friends ready to jump in. While it’s fun to play with friends of course, there’s nothing more frustrating than seemingly hitting a ceiling as a solo player, especially when there’s more story content to discover. Hopefully this is an area Bungie will continue to improve upon in future content. What do you guys think though? Do you agree that there is a ceiling for how far normal players can go through solo? This entry was posted in Opinion and tagged games, Opinion, PS3, PS4, Xbox, Xbox One. Bookmark the permalink. I think if you put in the effort, then you can make Destiny into a social experience as a lone wolf. The value of doing so (when compared to the effort needed to be exerted in order to see it through) or how Bungie has handled this matter are separate issues. As far as I am concerned, Bungie has fundamentally failed in their design of Destiny as a social game. The game stands in the way of grouping more than it ever stands up for grouping. For the most part, I’ve enjoyed the social experience Destiny has to offer. The game is at its best when I’m doing strikes and raids with my friends. However, needing them to help with things like quests feels bothersome. Like you said, it seems like many of the quests depend upon you having a fireteam, and often one that’s actively supporting you rather than just being there to shoot stuff. Case and point, the Exotic Sword version of the “Sunless Cell” strike. It has matchmaking, but every sword type requires a different unique enemy to killed just before the Dark Blade is destroyed. On top of that, it’s a 300 Light Strike! You’re not going to want to do it again, so you’ll do everything you can in order to make sure your sword is the one that gets completed. Simply put, matchmaking on that strike doesn’t work since usually everyone is going to have their own agenda. CT has a point. Even when it does provide a group to play with, Destiny sometimes forgets that it’s created a team that isn’t going to work together. There’s plenty of room for improvement that’s for sure. It seems like BUngie is slowly getting there, I mean, The Taken King was a big step forwar,d but there’s still a good amount of work left to do to fix…or improve a situation like this. Hopefully they’ll get there with future content updates. For lone wolf players, it’s hard having to pass on content because of limitations that the game has in place.